It's the thought that counts! 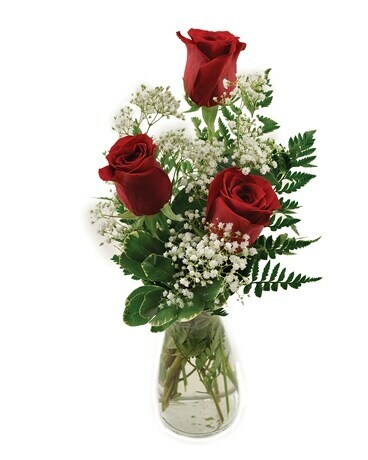 This charming bouquet includes three red roses accented with baby's breath. "Delivery available to the 48 contiguous states."